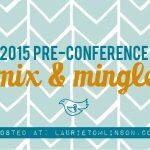 Last year, I loved doing this pre-conference mix and mingle. It definitely helped me learn new faces and get to know people my first year at conference 🙂 Assuming all technology goes according to plan, there should be a little link-up at the bottom of this post with links to different people going to conference and their own get-to-know-you questions. – Copy/paste and fill out your own answers (you don’t have to answer all of them!) in a post on your own website and paste the URL to that post (not your home page) using this handy link-up tool. Just click on the blue button below that says “Add your link”. If you don’t have a website, feel free to answer the questions in the comments below! Place in the book world: Pre-published author represented by Rachel Kent of Books & Such Literary. Currently working on my third manuscript while the first two are out on submission! On a scale of hugger to 10-foot-pole, please rate your personal space: All the hugs. The unique talking point that will get you going for hours: Books, good food, and college football! Loved ones at home you’ll be missing: My husband, three-year-old daughter, and yellow Lab! Conference goals we can pray for? That my books will find their perfect publishing home and definitely for peace during pitches! Anything we can celebrate with you? I’m a finalist in the Romance category of the Genesis contest. Be sure to check out who’s going to conference as (hopefully) the links start showing up! YAY! I loved doing this last year and I’m so glad to be doing it again this year! ‘Tis how we met, and I would be sad if we hadn’t [actually, I probably wouldn’t be because I wouldn’t know what I’m missing but whatevz ;)]. Heart you, girlie! Can’t wait to see you! FUN!!! I added mine but technically it goes live in about 4 hours-ish in the morning… 🙂 I can’t WAIT to meet you in person, Laurie!!!!! Thanks for organizing this, Laurie! What a great idea. 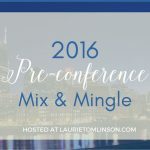 I’m looking forward to mixing and mingling virtually and in person with everyone. Me toooo! I can’t believe it’s almost here! I don’t have a blog, just a static website, so I’ll answer here! Place in the book world: Pre-published. I won the Genesis Contest last year, and have had several requests from agents for full manuscripts, but no offers yet. The unique talking point that will get you going for hours: Football for me too! Travel or missions. And sci-fi/fantasy books, movies, and TV. Conference goals we can pray for? I would love to find an agent! I’m waiting for the right one, in God’s timing. I’m also hoping to find a new critique partner/beta reader/editor or something. I have a critique group, but feel it might be time for a change or at least an addition. Aw thanks, Laurie! I’ll be cheering for to win Genesis again this year. That would be impressive! I’ll be praying for success in your pitches. Thank you for hosting this mix&mingle. I am looking forward to meeting you at the conference. 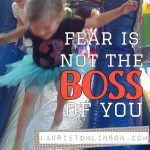 Thanks for this Laurie! Look forward to meeting you! Congrats on being a Genesis Finalist and for winning last year! What a great idea! Can’t wait to meet all of you! I do have a blog but things have been so crazy busy recently, I haven’t been there! So I’ll post my Q&As here. Place in the book world: Self-published my first novel (Stella’s Plea) and working with an editor on the rewrites for a second (Emma’s Prayer). Might pitch this one at ACFW. On a scale of hugger to 10-foot-pole, please rate your personal space: I’m French. French people are huggers! I’m no exception! The unique talking point that will get you going for hours: Writing and translation. I’m starting a ‘novel translation’ business, English to French and vice versa. People at home you’ll be missing: My husband, Ernest. My kids are grown and no longer at home. I miss them regardless where I am. 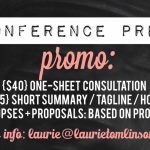 Conference goals we can pray for? I’m petrified to pitch. I need not only the right words but the courage to say them. And also for God to use me to reach the lost for the cause of Christ through my stories. Up for any contests/awards? Entered two short story contests earlier in the year. They’ll announce the winner of one of them this month sometimes. Any disclosures, disclaimers, or crucial information we must know? Like Suzy, I have met such incredible people/writers on my writing journey. 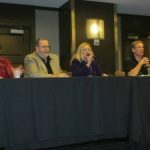 I look forward to meeting even more when attending ACFW in 20 days! But who’s counting! 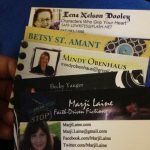 Pingback: Gearing up for ACFW | Dreams. Adventure. Hope. Thanks for starting this! I can’t wait! http://coffeecupsandcamisoles.blogspot.com Here’s a shot at the mix and mingle. Hope you can click the links ok. Can’t wait to see everyone!